Weddings are once in a lifetime events that needs to be cherished for long. Though there are several aspects to it, food continues to occupy centre stage. With people opening up to global cuisines, you can be at your creative best while planning a wedding menu. For creativity to soar the sky is the limit and you can pick and choose from a wide ranging global fare. Largely depending on your guest list, you can discuss things with your catering service for new ideas that shall add novelty to your spread. Since there are various aspects to every spread like style of presentation, way of service, type of appetizers, drinks, main course, etc. you can try out something new for each. Consider a few things listed below to give your wedding spread that wow factor. Instead of going the traditional way of a wedding lunch at receptions, try out brunch. This will give you ample scope to be novel and you can serve new things. Your brunch menu should be a mix of new as well as uncommon. But try to keep it simple because anything complicated may pose a major challenge for your catering staff and it could go all awry! Keep in mind the season when you are planning your menu. Seasonal dishes are always a refreshing change and are bound to create an impression. Also you can save costs because ingredients are easily available during that time. While planning a menu, make sure that it adds variety to the palate. Everybody loves good taste and when it comes in various forms all the better. This way you can also cater to the diverse tastes of your guests. By doing this you can add a personal touch to the wedding menu. You can probably share a special family recipe or work with you caterer to figure out something really unique. You can also give it a new name. You can have a cheese and wine counter manned by an expert sommelier who can guide your guests and suggest different combinations of wines with various cheeses. 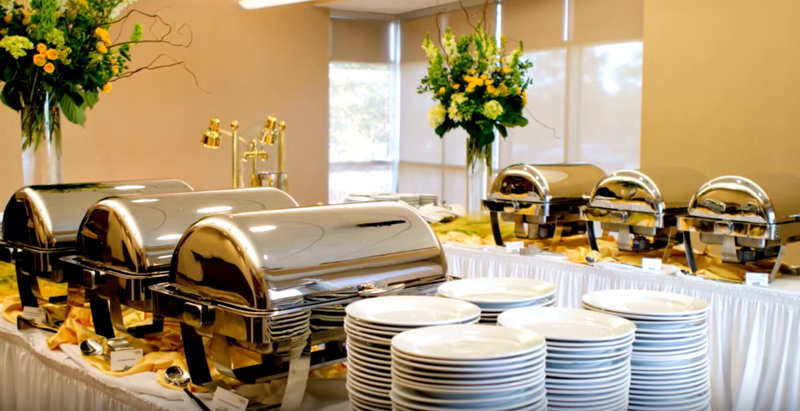 You can either ask your catering service to provide with one or hire one on a personal level. To be honest, there is no dearth of creative ideas when you are planning a wedding menu. You can try out new cuisines, ways of serving, uniquely set tables if you plan a sit down meal for few, for personalization. Most important is that you choose a caterer who can understand what exactly your ideas are and is able to deliver. Your catering service should be able to think out of the box and complement creativity so that it makes your wedding spread truly memorable.